Convenient airport to hotel transportation by our modern car fleet. Always on time. My kids were truly excited when they saw the driver came to pick us up in a new Mercedes-Benz Vito. The inside of the van was perfectly clean and smelled nice. We felt safe and comfortable. Drivers transported me from and to the airport in a modern vehicle. They were really helpful, welcoming, and friendly. I'm an elderly person, so they offered to help with my luggage right away! Drivers have arrived promptly for all 4 transfers I have made and dropped me off in the place I asked them to. Patrick was so kind to share with me an interesting story about Krakow. Even though it was my first time booking airport transfers in Krakow, the website was so easy to navigate I didn’t have any issues to go through the whole process and quickly complete the booking. The driver that picked us up from the airport was absolutely professional and knowledgeable about the Krakow map. He showed us some truly fine places to visit. We’re glad we chose Escape2Poland. Among many benefits of private Krakow airport transfers, one can distinguish security, convenience, comfort, and reduced tension. Most visitors coming to Krakow choose private transfers over public transportation to get to their hotel as quickly as possible after a long and tiring plane journey. In most cases, professional drivers hired by the private company wait for their customers right at the terminal's door to pick them up and take them directly to their destination. Moreover, private Krakow airport transfers to the city centre shouldn't take longer than 20 minutes. 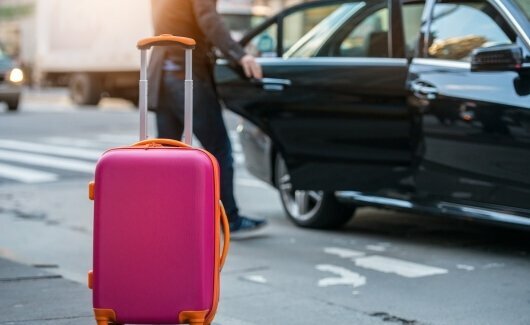 Airport transfers with Escape2Poland facilitate your stay in Krakow thanks to our expert drivers, who are always welcoming and eager to give you a hand with your luggage. In addition, they know the fastest routes and always avoid traffic jams to deliver you safely and quickly to your hotel. Choose our private airport transfers to begin your Krakow experience faster than others.